tereoscopic 3D works by projecting two images onto one screen, which viewers view through polarized 3D glasses, allowing you to view each image separately through your eyes, creating an overall 3D effect. It’s not as complicated as it sounds, we promise! If you want to display 3d images with stereoscopic projection, you’re going to need some specialist polarized 3D glasses to enable your audience to view it, and we can provide you with just that. 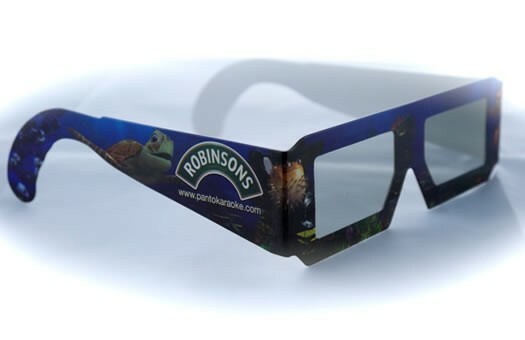 As with many of our 3D glasses, our Cardboard 3D Polarized Glasses can be designed to your specifications, to include your branding printed on the frames and frame. This will allow you to use the blank space for advertising or promotions. Contact us for a quotation and to learn more about using 3D glasses. Contact us for a quotation and to learn more about using 3D glasses.